Photo: Angela Pitt and Wildrose Party leader Brian Jean during the 2015 election. It looks like Angela Pitt is in trouble. The first-term MLA from Airdrie is facing a stiff challenge for the United Conservative Party nomination in the newly redrawn Airdrie-East district. 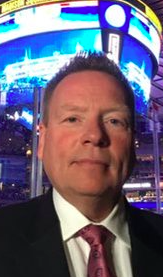 As first reported on this blog on May 31, 2018, Sportsnet Calgary Flames commentator Roger Millions is challenging Pitt for the nomination. Millions could have run for the UCP nomination in the other Airdrie district – Airdrie-Cochrane – where no incumbent MLA is running, but he is instead challenging Pitt in Airdrie-East. Having a high-profile nomination challenger like Millions unseat an incumbent in a nomination contest, especially as she is one of two women MLAs in the UCP caucus, would be embarrassing for the UCP. Pitt’s caucus colleagues are rallying with support. Thirteen UCP MLAs (Nathan Cooper, Tany Yao, Jason Nixon, Mike Ellis, Todd Loewen, Rick Strankman, David Hanson, Scott Cyr, Glenn van Dijken, Prab Gill, Dave Schneider, Mark Smith and Wayne Drysdale) and Calgary Conservative MP Stephanie Kusie have publicly endorsed Pitt’s nomination bid through videos on her Facebook page. It is unusual for an incumbent to garner so many endorsements in a nomination contest from other MLAs unless that incumbent is in danger of being defeated. It is also not clear if the endorsements will have an impact on the outcome of the nomination contest. I am told that Pitt is fairly popular among her UCP MLA colleagues, but that she might not have laid the ground work needed in Airidrie to fend off a nomination challenge from someone as high-profile as Millions. 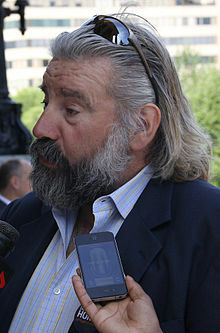 Pitt was acclaimed as the Wildrose Party candidate in 2015 and had already been acclaimed to run as a Wildrose Party candidate for the 2019 election before the UCP was formed. Controversy arose earlier this month when a member of the local UCP board of directors resigned after disagreeing with the local association’s decision to donate the $16,000 remaining in the bank account of the defunct local Wildrose Party association to the Alberta Fund political action committee. The Alberta Fund PAC was created to support Brian Jean‘s candidacy in the 2017 UCP leadership race and is run by former Wildrose Party president David Yager. Pitt endorsed Jean in the leadership race. The UCP nomination vote in Airdrie-East will be held on June 20, 2018 from 11:00am to 8:00pm at the Town and Country Centre in Airdrie. Shannon Phillips takes a selfie in front of a crowded nomination meeting in Lethbridge-West. Environment and Parks Minister Shannon Phillips has been officially nominated as the New Democratic Party candidate in Lethbridge-West. Phillips was first elected in 2015, earning 59 percent of the vote and unseating Progressive Conservative MLA Greg Weadick. Community and Social Services Minister Irfan Sabir was expected to be nomination as the NDP candidate in Calgary-McCall at a meeting on June 12, 2018. Dave Quest is running for the Alberta Party nomination in Strathcona-Sherwood Park. Quest represented the district from 2008 to 2015 as a PC MLA. He served as Associate Minister for Seniors from 2013 to 2014. He briefly planned to run for municipal office in Strathcona County ahead of the 2017 elections but withdrew before the nomination deadline. Athabasca-Barrhead-Westlock – Monty Bauer, a grain farmer from Thorhild, is challenging MLA Glenn van Dijken for the UCP nomination. Bauer has been endorsed by former Westlock-St. Paul Conservative MP Brian Storseth. Brooks-Medicine Hat – Conservative activist S. Todd Beasley is seeking the UCP nomination. Beasley was an organizer for the anti-NDP Alberta Wide Rallies held in 2016 and is the organizer behind the ‘Stop the Shock‘ group, which opposes the closure of dirty coal-fired power plants in Alberta. Calgary-Edgemont: Prasad Panda was nominated as the UCP candidate in this district. Panda was first elected as the Wildrose Party candidate in the 2015 by-election in Calgary-Foothills. Calgary-North East – Tariq Khan is seeking the UCP nomination. Khan is a real estate agent and general secretary of the Pakistan Canada Association Calgary. Calgary-Shaw Brad Leishman is seeking the UCP nomination. Leishman was the Wildrose Party candidate in this district in the 2015 election. Cypress-Medicine Hat – Drew Barnes has been acclaimed in the UCP nomination in this district covering the southeast corner of Alberta. Barnes was first elected as a Wildrose MLA in 2012 and was re-elected in 2015. Edmonton-Meadows – Sant Sharma is seeking the UCP nomination. Edmonton-Glenora – Carla Stolte has been acclaimed as the Alberta Party candidate. She is the former president of the Westmount Community League. Edmonton-Manning – Manwar Khan is seeking the Alberta Party nomination. Edmonton-South – Pramod Kumar is seeking the Alberta Party nomination. Atul Ranade is seeking the UCP nomination. Ranade was a declared candidate for Mayor of Edmonton in 2017 but did not enter the race on nomination day. Edmonton-Whitemud – Payman Parseyan has withdrawn from UCP nomination contest in Edmonton-South and is now seeking the UCP nomination in the neighbouring Edmonton-Whitemud district. Lac Ste. Anne-Parkland – Dale Johnson is seeking the UCP nomination. Red Deer-North – Adriana LaGrange has announced plans to seek the UCP nomination. LaGrange has served as a trustee on Red Deer’s Regional Catholic School Board since 2007 and is a past president of the Alberta Catholic School Trustees’ Association and former vice-president of the Canadian Catholic School Trustees’ Association. She resigned from her role with the ACSTA in June 2018. West Yellowhead – Maryann Chichak announced on her Facebook page that she has withdrawn from the UCP concest. Chichak has served as Mayor of the Town of Whitecourt since 2013 and was the Wildrose Party candidate in Whitecourt-Ste. Anne in the 2012 election. This entry was posted in Alberta Politics and tagged Adriana LaGrange, Airdrie, Airdrie-Cochrane, Airdrie-East, Alberta Catholic School Trustees' Association, Alberta Election 2019, Alberta Election Candidate Nominations, Alberta Fund Political Action Committee, Alberta NDP, Alberta Party, Angela Pitt, Athabasca-Barrhead-Westlock, Atul Ranade, Brad Leishman, Brian Jean, Brian Storseth, Brooks-Medicine Hat, Calagry-Edgemont, Calgary-McCall, Calgary-North West, Calgary-Shaw, Canadian Catholic School Trustees' Association, Carla Stolte, Dale Johnson, Dave Quest, Dave Schneider, David Hanson, David Yager, Edmonton-Glenora, Edmonton-Manning, Edmonton-Meadows, Edmonton-South, Edmonton-Whitemud, Glenn van Dijken, Greg Weadick, Irfan Sabir, Jason Nixon, Lac Ste. Anne-Parkland, Lethbridge-West, Manwar Khan, Mark Smith, Maryann Chichak, Mike Ellis, Monty Bauer, Nathan Cooper, Payman Parseyan, Prab Gill, Pramod Kumar, Prasad Panda, Red Deer-North, Rick Strankman, Roger Millions, S. Todd Beasley, Sant Sharma, Scott Cyr, Shannon Phillips, Sherwood Park-Strathcona, Stephanie Kusie, Tany Yao, Tariq Khan, Todd Loewen, United Conservative Party, Wayne Drysdale, West Yellowhead, Wildrose Party on June 13, 2018 by Dave Cournoyer. Photo: Nicole Williams, Sarah Hoffman, Maryann Chichak, and Lisa Wardley. Calgary-North East – Nate Pike is seeking the Alberta Party nomination. Pike is a paramedic who works for Alberta Health Services. Calgary-North West: Lesley Doell is seeking the United Conservative Party nomination. Doell is a French Immersion facilitator and instructional coach with the Foothills School Division and the former executive director of the French Language Resource Centre in Grande Prairie. She had been considered a potential candidate for the federal Conservative nomination in Calgary-Centre in 2019. Calgary-Shaw – Mark Mantei is seeking the UCP nomination. 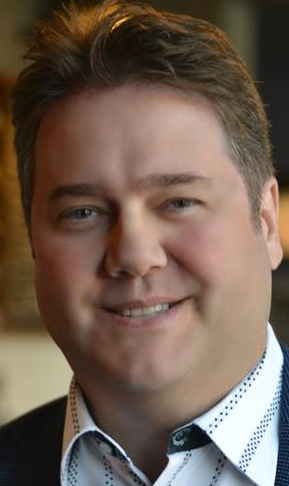 He is an executive with a computer software and consulting company and previously served as the President of the Wildrose Party constituency association in this district. This district is currently represented by New Democratic Party MLA Graham Sucha. Edmonton-Glenora – Sarah Hoffman is seeking the NDP nomination in this west-central Edmonton district. Hoffman was first elected as MLA for this district in 2015 with 68 percent of the vote, She previously served two terms on Edmonton’s Public School Board including as chair from 2012 to 2015. She has served as Minster of Health and Deputy Premier since 2015. Edmonton-West Henday – Two candidates are seeking the UCP nomination in this new west Edmonton district. Nicole Williams is a senior associate with Canadian Strategy Group and previously worked as an assistant to various MLAs and cabinet ministers in the old Progressive Conservative government. Lance Coulter is a former assistant to Edmonton-Griesbach Member of Parliament Kerry Diotte and previously served in the Canadian Armed Forces. Fort Saskatchewan-Vegreville – Conservative partisan activist Jackie Armstrong-Homeniuk is seeking the UCP nomination. Armstrong-Homeniuk currently serves on the local UCP association and previously served as the Regional Director for Central Northeast Alberta on the PC Party board of directors. This district is currently represented by NDP MLA Jessica Littlewood. Lac Ste. Anne-Parkland – Jerry Molnar is seeking the UCP nomination in this newly redrawn district northwest of Edmonton. Peace River – There is a packed race for the UCP nomination in Peace River. The nomination candidates include former Town of Peace River chief administrative officer Kelly Bunn, Peace River music teacher Donald Lee, Mackenzie County deputy reeve Lisa Wardley, and former assistant to Jason Kenney in Ottawa Daniel Williams. This district is currently represented by NDP MLA Debbie Jabbour. St. Albert – Jeff Wedman is seeking the UCP nomination. Wedman is an officer with the Edmonton Police Service and is a retired Canadian Armed Forces pilot. He ran for the PC Party nomination in St. Albert ahead of the 2012 election. This district is currently represented by NDP MLA Marie Renaud, who is running for re-election. Spruce Grove-Stony Plain – Dan Corbett is seeking the UCP nomination. He was briefly a candidate for the City of Spruce Grove mayoral election in 2017 but withdrew from the race before the election. West Yellowhead – Town of Whitecourt mayor Maryann Chichak is seeking the UCP nomination in the newly redrawn West Yellowhead district, which now includes Whitecourt. Chichak was first elected as mayor in 2013 and was re-elected in 2017. She was the Wildrose Party candidate in the Whitecourt-Ste. Anne district in 2012, where she finished only 370 votes short of unseating PC MLA George VanderBurg. The West Yellowhead district is currently represented by NDP MLA Eric Rosendahl. If you know any candidates who have announced their intentions to stand for party nominations, please send me an email at david.cournoyer@gmail.com. I will add them to the list. This entry was posted in Alberta Politics and tagged Alberta Election Candidate Nominations, Alberta NDP, Alberta Party, Calgary-North East, Calgary-North West, Calgary-Shaw, Candidate nominations, Dan Corbett, Daniel Williams, Debbie Jabbour, Donald Lee, Edmonton-Glenora, Edmonton-West Henday, Eric Rosendahl, Fort Saskatchewan-Vegreville, George VanderBurg, Graham Sucha, Jackie Armstrong-Homeniuk, Jason Kenney, Jeff Wedman, Jerry Molnar, Jessica Littlewood, Kelly Bunn, Kerry Diotte, Lac Ste. Anne-Parkland, Lance Coulter, Lesley Doell, Lisa Wardley, Marie Renaud, Mark Mantei, Maryann Chichak, Nate Pike, Nicole Williams, Peace River, Sarah Hoffman, Spruce Grove-Stony Plain, St. Albert, United Conservative Party, West Yellowhead on April 6, 2018 by Dave Cournoyer. With a feeling of excitement in the air, Nomination Day came and went today as residents across Alberta officially became candidates in this year’s municipal election. With nearly 120 candidates registered to run in Edmonton’s municipal election, today’s event was busy. I was at Edmonton City Hall at this morning’s event and snapped photos of many candidates. While it was expected that some Edmonton City Council candidates could be acclaimed, the only two unchallenged incumbents in this year’s vote are Edmonton Public School Trustees Sarah Hoffman and Cheryl Johner. I have updated the list of Edmonton election candidates with their social media links. After a busy morning and evening of attending election related events, I joined Ryan Hastman and Mack Male for a special Nomination Day #yegvote Google Hangout. You can watch the hangout in the embedded video above and find previous episodes at EdmontonPolitics.com. – Popular Calgary Mayor Naheed Nenshi is expected to cruise to victory, but still faces eight challengers. – Former Progressive Conservative MLA and cabinet minister Ray Danyluk is running to become the next Reeve of St. Paul County. 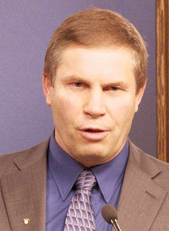 Mr. Danyluk served as MLA for Lac La Biche-St. Paul from 2001 until 2012. – Former PC and Wildrose candidate Guy Boutilier has thrown his name into the election for Wood Buffalo Municipal Council. Mr. Boutilier was MLA from 1997 until 2012 and Mayor of Wood Buffalo from 1995 until 1997. – Former Wildrose candidate Maryann Chichak is running for Mayor in Whitecourt. – Well-known political blogger David Climenhaga is running for city council in St. Albert. – In July he announced his retirement from politics, but according to the Bonnyville Nouvelle, Town of Bonnyville Mayor Ernie Isely is running for re-election. Isley has served as mayor since 2006 and was the PC MLA for the area from 1979 to 1993. – He may be enjoying retirement from Ottawa, but former Member of Parliament Myron Thompson is once again running for a spot on Sundre Town Council. Mr. Thompson was the MP for Wild Rose from 1993 until 2008, and was Mayor of Sundre from 1974 to 1980. – Former MLAs Weslyn Mather and Ray Martin have thrown their hats in Edmonton’s public school board election. Ms. Mather was the Liberal MLA for Edmonton-Mill Woods from 2004 until 2008. Mr. Martin was leader of the Official Opposition NDP from 1986 to 1993, and was elected as MLA from 1982 to 1993 and 2004 to 2008. – Robert Wilkinson was convicted of impaired driving, became an internet sensation with his rendition of “Bohemian Rhapsody,” and is the only candidate challenging Edson Mayor Greg Pasychny in this year’s election. – In Grande Prairie, popular mayor Bill Given is being challenged by former councillor Gladys Blackmore. – Richard Richards has been acclaimed as mayor in the Town of Stettler. – Twenty-four candidates have filed nomination papers to contest five council seats in the flood damaged town of High River. Please share in the comments section below if there are any interesting races or candidates who I have missed. This entry was posted in Alberta Politics and tagged Bill Given, Cheryl Johner, David Climenhaga, Ernie Isley, Gladys Blackmore, Greg Pasychny, Guy Boutilier, Mack Male, Maryann Chichak, Myron Thompson, Naheed Nenshi, Ray Danyluk, Ray Martin, Robert Wilkinson, Ryan Hastman, Sarah Hoffman, Weslyn Mather on September 24, 2013 by Dave Cournoyer. Inside Baseball: Alberta’s conservative parties hold executive elections. The recently defeated three-term Tory MLA from Lac La Biche-St. Paul joined the race to replace outgoing president Bill Smith less than a month ago. After throwing his considerable political weight behind Doug Horner‘s PC leadership campaign in 2011, he was appointed to Premier Alison Redford‘s first cabinet and was unseated by Wildrose candidate Shayne Saskiw in the 2012 election. The race to replace the outgoing PC Party president is now narrowed between Calgary Tory Jim McCormick and Lac Ste. Anne County Councillor Lorne Olsvik. The vote will take place at the Alberta PC’s annual meeting on November 9 and 10, 2012 at the Telus Convention Centre in Calgary. While most of the positions on the PC executive board have been acclaimed, the race to replace Mr. McCormick as ‘VP Calgary’ could be interesting. Social media maven Troy Wason is facing winery owner Leslie LeQuelenec and long-time Tory volunteer Gary Millan in that race. Mr. Millan’s online biography lists him as “born in Montreal” and having “witnessed the FLQ crisis first hand and experienced the “War Measures Act.“” I am unclear what this actually means and with no contact information made available on the PC Party website, I was unable to clarify this. Delegates to the PC Party annual meeting will also debate changes to their party constitution that could change the system used to select its leader. The current system, which includes a run-off second ballot vote, has been criticized for allowing second place candidates from the first ballot to win on the second-ballot (as Premier Redford did in 2011). Meanwhile, the official opposition Wildrose Party is holding their own annual meeting on November 23 and 24, 2012, in Edmonton at the Mayfield Inn. While leader Danielle Smith had probably hoped she would be addressing this convention as her party’s first Premier, she will instead rise to the podium as leader of a 17-MLA official opposition party. Among the crowd running in some of the hotly contested Wildrose Party executive committee elections are former Social Credit Party leader James Albers, former Wildrose MLA Paul Hinman, former Canadian Alliance MP Eric Lowther (defeated by Joe Clark in the 2000 federal election), and former party president Jeff Callaway. Also running for positions are recent election candidates Dave Yager, Wayde Lever, Prasad Panda, Chris Challis, Nathan Stephan, Maryann Chichak, Travis Olson, Rob Solinger, and Mike Blanchard. This entry was posted in Alberta Politics and tagged Alison Redford, Bill Smith, Broderyck Olson, Chris Challis, Danielle Smith, Dave Yager, Doug Horner, Eric Lowther, Gary Millan, James Albers, Jeff Callaway, Jim McCormick, Joe Clark, Leslie LeQuelenec, Lorne Olsvik, Maryann Chichak, Mike Blanchard, Nathan Stephan, Paul Hinman, Prasad Panda, Ray Danyluk, Rob Solinger, Shayne Saskiw, Travis Olson, Troy Wason, Wayde Lever on October 5, 2012 by Dave Cournoyer.